What is a Noodle Arm? Sugary cereals are the best. Sure, they’re no more than a saccharine shot to the stomach with little-to-no nutritional value. But there’s a certain comfort they provide in their throwback to a simpler time, a time when bounding down the stairs for school and hoping today might be the day you poured the free prize into your bowl were the only cares in your world. Ah, the free prize. Whether it was some action figure, or a car, or 3D glasses, there was always the promise of something grand. With that promise, though, came a caveat: There was always some assortment of four or five iterations of the prize from which to choose, and there was always a specific prize – the blue Garfield bike reflector (not orange) or the Spider-Man toy (not Batman) – you wanted. And you never got it. Sure, this might be a beggars/choosers situation, and looking back as an adult I long for the days when my breakfast foods provided more fortune than fiber. But as a kid, there wasn’t a more soul-crushing defeat than finally getting to the point in the cereal box where the prize was attainable, only to have it be the Lurch flashlight from the Addams Family set instead of Cousin It. String enough of these defeats together, and the eventual effect is that it tempers your expectations. And while that isn’t a positive feeling when you’re 10, the ability to keep one’s hopes in check can actually be a strength as an adult. Take, for example, my expectations upon Discmania’s announcement of it’s new MD midrange. With advertised flight numbers of 4/5/0/0, I kind of felt like Discmania was putting a prize in the box that was on the low end of my priorities. Rather than releasing a neutral midrange, I was really hoping the Finnish manufacturer would put out something truly understable, as that seems to be a hole in the brand’s lineup that needs to be filled. So instead of being excited to throw the mold, I held off for a while and didn’t seek it out, drawing upon my years of cereal box wisdom to keep me from being disappointed. Once I finally got my hands on the MD, my low expectations were shattered, leaving me wishing that I had just poured the whole metaphorical box of cereal out on the table instead of slowly working my way to the bottom. Because, as it turns out, MD isn’t just shorthand for midrange. Like a favorite leprechaun-bearing treat of my youth, it is also Magically Delicious. In addition to the shared flight numbers, the way the MD feels in the hand gives the impression that the mold is a descendant of the Innova Mako family of midrange discs. With a mild dome and a rim that tilts slightly inward, it truly resembles one of Innova’s most true flyers. The MD, though, feels like it has a bit more heft, if that makes sense; it feels more dense toward the outer edge of the rim, giving it a feel that was described by one friend as a “meatier” Mako. My initial field tests agreed with that assessment. While the Mako is a phenomenal, straight-flying midrange, in my experience it requires your form to be cleaner than an operating room. As a noodle arm, my form is often closer to the face of an ice cream-eating toddler than a venue for surgery, so the Mako isn’t the most forgiving option on the table. The MD, on the other hand, devours off-axis torque like I eat Cinnamon Toast Crunch. Indeed, my first few throws with the disc were not very pretty, but they still went straight, with a surprising amount of glide. Into the bag the MD went for a proper spin at the course. Hole 8 at Brengle Terrace Park presents a downhill valley shot that requires straight precision to result in a birdie look. My first full round with the MD, without question, was a success. Brengle Terrace Park in Vista, California, has quite a few holes that beg for a midrange off the tee. One, in particular, is a bit vexing, and I often mention it in reviews due to the precision required to conquer it. Hole 8 plays into a headwind, usually, and across a valley. It’s a mild downhill shot, which makes it slightly easier to throw something slow and more controllable, but turning something over leaves me with an awkward downhill approach and something more overstable might find me flirting with an out-of-bounds fence line. I’ll usually throw a putter, because I can trust it to go straight and leave me with a safe approach, but it never puts me in birdie range. Then I remembered my friend – the same one who made the “meatier” comment – throwing an absolutely pure drive with a Mako3 on this hole in the past. So, I took the forgiving MD, put it on a slight hyzer angle, and let it rip. It finally came to rest underneath the basket. Birdie. That’s the best thing about expectations, though. Whether they be about a free toy in a box of cereal or a beveled-edged piece of plastic, they can always be exceeded. Shots like these – during the first round with a disc – make for memorable moments, to be sure. But they also help me gain confidence in a disc and make me reach for it more often. As a result, the Dynamic Discs Truth and Discraft Meteor that inhabited my bag were benched as I let the MD audition for the starting lineup. 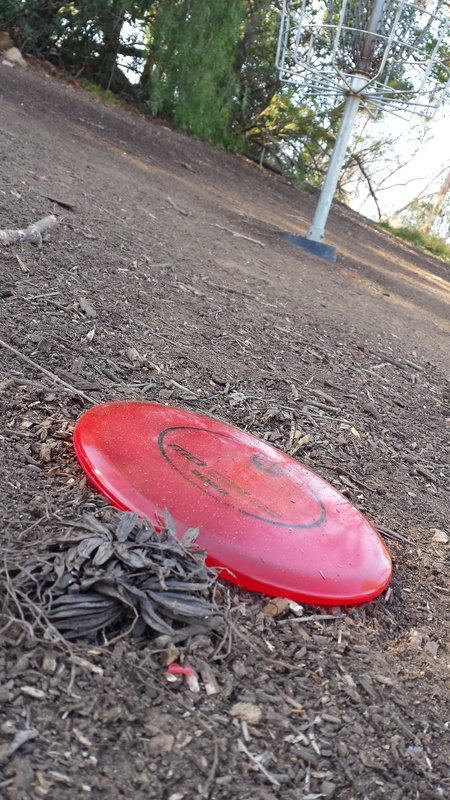 The Discmania MD finds a home underneath the basket for an easy birdie. And that audition has become a permanent residence. The MD has been holding down the midrange slot in my bag for almost two months now, and it continues to impress me more as it wears in. It is incredibly easy to coax distance out of, for starters. For a speed 4 disc, it certainly holds its own when given enough air underneath it, getting out as far as the aforementioned Truth on open lines. It doesn’t do low ceilings as well due to its slower wing design, but someone with greater arm speed than me will have better success on height-restricted shots. Secondly, it’s just plain easy to manipulate. For a 180-gram disc, it feels like I am throwing something closer to the 170-gram midranges I normally bag. Indeed, I didn’t even think to turn the disc over and look at its scrawled weight until about halfway through my first day with it, and I was shocked that it was maxed out. Noodle arms will have no problem getting it up to speed. And, as it has worn in, it has developed some friendly wiggle to it while still being extremely dependable. 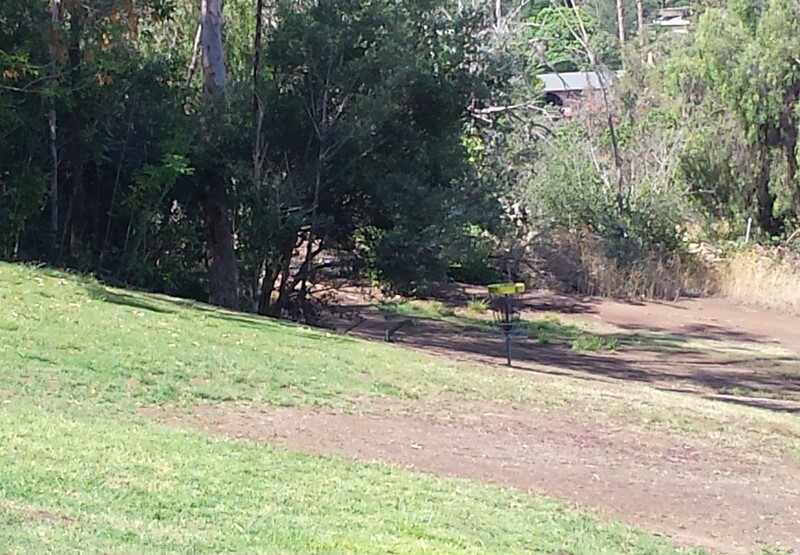 Hole 14 at Brengle Terrace, for example, is another valley shot, this time with the basket slightly uphill from the tee. Thin trees protect the birdie line from easy access, but a couple gaps exist if you can sneak something through. The MD can make a gradual turn, worm its way through the foliage, and fade gently toward the basket. I missed out on an ace here recently, but was plenty pleased with another tap-in birdie. It doesn’t just do straight and turn, though. On powered down hyzer approaches, it holds the line. Forced anhyzers that sit down flat are also achieved. Add some hyzer into a headwind, and watch it hover to the ground like a putter. It’s pretty uncanny. As a result, I’d be more inclined to list its numbers at 4.5/5/-1/1. There is some workable turn and fade, but nothing drastic. I just have a difficult time with a disc being labeled as having perfect high speed stability and no low speed fade. It’s a very tough rating to achieve, unless you’re a professional with impeccable form. Speaking of professionals, though, the MD does remind me of a certain non-disc golf pro: It is like the Mark DeRosa of midranges. The journeyman Major League Baseball player, who peddled his wares for eight teams over 15 seasons, never did anything with much panache, but could hold down nearly every spot on the diamond if called upon. Discmania’s new offering can do the same in a minimal disc golf bag, with a worn-in one being complemented by a fresh disc to cover a majority of midrange duties. And to think, my expectations almost prevented me from enjoying this disc. That’s the best thing about expectations, though. Whether they be about a free toy in a box of cereal or a beveled-edged piece of plastic, they can always be exceeded. In this case, the Discmania MD, within a few rounds, went from boring decoder ring to flame-accented Hot Wheels car. Turns out beggars can be choosers, after all. Steve Hill is a Southern California-based disc golfer who doesn’t throw very far. Follow him on Twitter @NoodleArmDG.